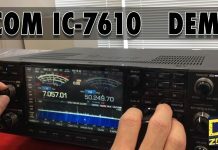 ICOM will release the base amateur radio transceiver IC-7610 in HF + 50 MHz band from May 2017. 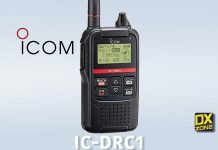 This unit adopts RF direct sampling system for signal processing. 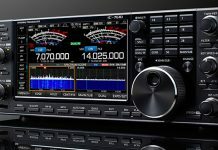 By converting the analog signal directly to a digital signal and processing it within the FPGA (Field Programmable Gate Array is an integrated circuit whose designer can set the configuration) , it realizes improved transmission phase noise and excellent RMDR of 105 dB (at 1 kHz detuning). 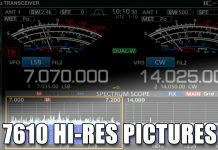 (Reciprocal Mixing Dynamic Range is an index of how much the reception sensitivity deteriorates due to blocking from a strong signal in proximity). 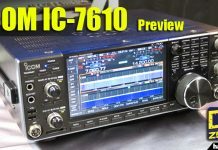 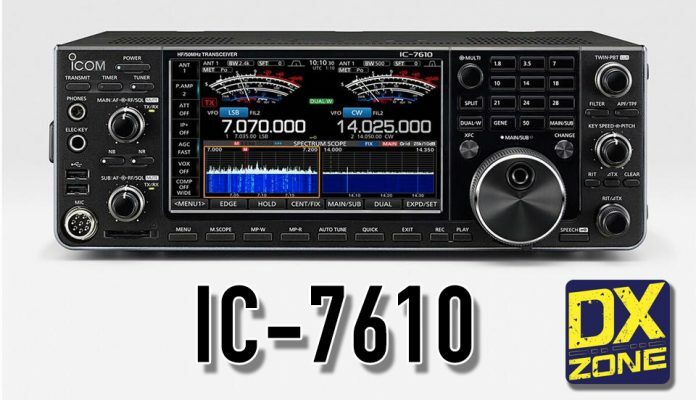 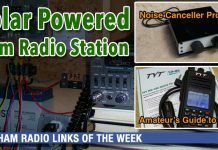 IC-7610 has two independent reception circuits of main / sub identical performance, and it enables simultaneous reception of two waves of different band / different modes.